Jackie Cooper was one of those people who looked the same all his life. He was an adorable child, a handsome young man and then adorable again as an older man. He had that round face that was almost too big for him as a child and large chubby cheeks which plumped up with a grin or perfectly reflected his flowing tears. Cooper successfully went from playing the wise cracking child into being able to a adult actor; something many other child stars failed to do. He won our hearts in “The Champ” as he steadfastly loved his alcoholic father Wallace Berry. He then tugged at our heart-strings when tears rolled down his face when The Champ dies at the end. Cooper later showed he could play a romantic young man to pretty actresses like Deanna Durbin in “That Certain Age.” I have to admit I thought he was rather cute and was crush worthy as a teenager. Like Margaret O’Brien and June Allyson, Jackie Cooper was famous for his crying scenes. Once when Cooper didn’t want to cry Norman Taurog, his uncle and director of the movie “Skippy” threatened to shoot Cooper’s dog. 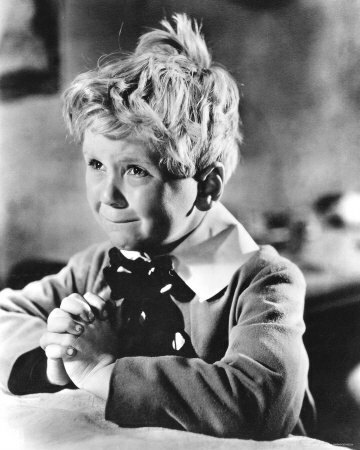 Joking aside about the multitude of tears, Jackie Cooper was a pretty good child actor and had a sincere childish way about him. He acted in an era where children were allowed to be children in movies, unlike today where they seem to be little adults. Other male actor children followed in his footsteps like the adorable Bobs Watson who cried better than any other child I’ve ever seen. 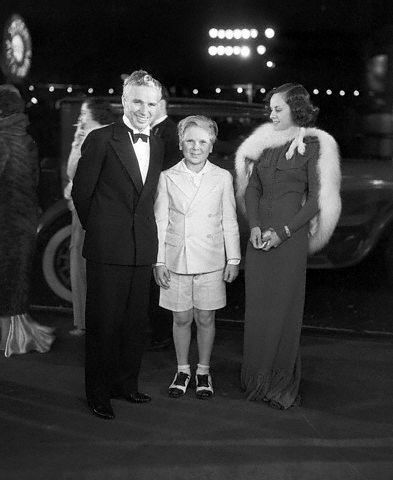 the photo of Jackie, Paulette Goddard and Charlie Chaplin. He’s nearly as tall as both of them, and wider than either. I always thought Jackie Cooper seemed like a genuinely friendly man from interviews and had a really good career. I have to admit, I wish he was the one who played Ted Nickerson in the 1930s Nancy Drew series. He seemed closer to the book character than Frankie Thomas. Rest in peace Jackie Cooper. I hope he is able to be with his wife Barbara Kraus who died in 2009. You will be missed, Mr. Cooper, the tears are on us. You are our Champ this time. This entry was posted in Star Deaths and tagged Jackie Cooper, Jackie Cooper death by Jnpickens. Bookmark the permalink. We are losing so many good actors. I always liked Jackie Cooper and enjoyed his movies. Very sad.